How do we know what really works? We were founded in 2013 on a simple truth: a value-based system requires evidence of what works for every patient population, not just those represented in randomized trials. It also needs the mechanisms to deliver this evidence efficiently and with confidence. Our mission is to power critical decisions in health care with data science-driven technology. Building on decades of experience in epidemiology and health outcomes research, our founders joined forces with out-of-industry technologists to develop the Aetion Evidence Platform into health care’s only scientifically validated analytics platform. With over 9,000 treatment effectiveness analyses performed since our founding, the AEP has been selected by the FDA to help establish modern approaches to drug approval and safety processes. Today, our solutions are used worldwide to make meaning from real-world data and to produce meaningful results for life sciences companies, payers, and at-risk providers. We are often asked how to say our name, and where the name came from. Aetion ("ay-tee-on") is adapted from the Greek word for causality—reflecting our deep roots in the science of using real-world data to draw causal conclusions. New Enterprise Associates, Inc. (NEA) is a global venture capital firm focused on helping entrepreneurs build transformational businesses across multiple stages, sectors and geographies. With more than $20 billion in cumulative committed capital since the firm’s founding in 1977, NEA invests in technology and health care companies at all stages in a company’s lifecycle, from seed stage through IPO. The firm's long track record of successful investing includes more than 220 portfolio company IPOs and more than 370 acquisitions. 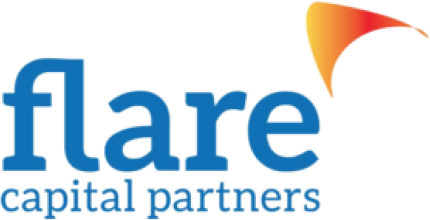 Flare Capital Partners is a team of proven healthcare technology venture capital investors known for their unparalleled strategic industry resources, insight and total commitment to the success of its entrepreneurs. Flare Capital raised one of the health care industry’s largest dedicated venture capital funds focused exclusively on early stage and emerging growth investments in healthcare technology innovation and is privileged to closely partner with founders and management. Selected investments include Aetion, Bright Health, Circulation, ClearDATA, Evolent Health, HealthReveal, HealthVerity, Iora Health and Welltok. 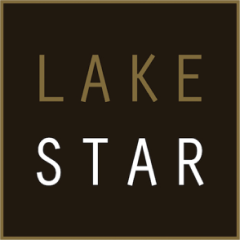 Lakestar is a global venture capital firm, investing in internet and technology companies worldwide, with offices in London, Berlin, Zurich and New York. Selected investments include Spotify, Opendoor, Facebook, Airbnb, SOFI, King.com, Klarna, Skype, Oscar Healthcare, Harry’s Shaving, Maker Studios, Algomi, and Teralytics, as well as many earlier stage companies in the US and Europe. Lakestar maintains an entrepreneur-centric approach, enabling stellar management teams to accomplish their full potential. Town Hall Ventures is an investment firm, founded in 2018 and headquartered in New York and Minneapolis, that invests in health care companies primarily serving vulnerable populations covered by Medicare and Medicaid. 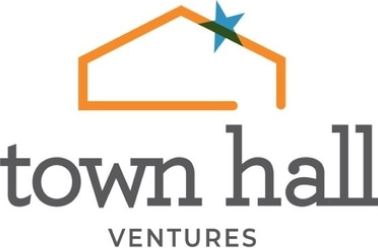 With deep experience building businesses, serving in major public and private sector roles, building premier executive teams, and investing across technology and health care, Town Hall partners with entrepreneurs to build transformational businesses from the idea stage to the growth stage. Aetion is proud to have the world's leading life sciences, payer, and health care services firms as strategic investors, including McKesson Ventures, Sanofi Ventures, Amgen Ventures, UCB, and Horizon Health Services, Inc.
To learn more about Aetion, get a demo, or speak to one of our scientists please share your contact information, and we’ll be in touch. Your Name Company Email Phone How can we help?